New "Dawn of Justice" trailer revealed too much? 2016 is just around corner, and most of us are hyped for the upcoming फिल्में in 2016. But is all the फिल्में worth your money? I've been seeing a lot of complains in my blog about the new Dawn of Justice trailer, saying that it revealed too much and it isn't worth the money anymore. The trailer revealed DC's super villain Doomsday and was uploaded to यूट्यूब on 2th December and has hit 4,000,000 views! Not to mention I saw some of the same complains at the टिप्पणी दे section, why did they make such a trailer? Just because Marvel's Civil War was one of the most चोटी, शीर्ष view trailer in such a short time? To be honest, I think it is still worth the money. Just with half of the excitement gone. 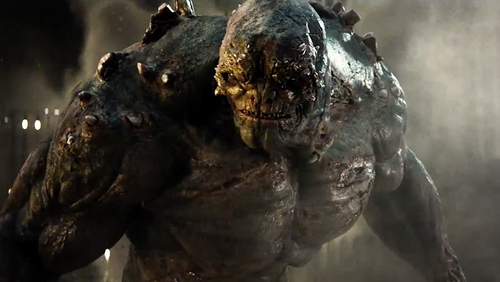 Oh, and Doomsday is uglier than I expected. Here's the link for new Dawn of Justice trailer in यूट्यूब for those who haven't seen it, and I'm sure everyone has their own opinion and it will nice to share them. What do आप think about the new trailer?